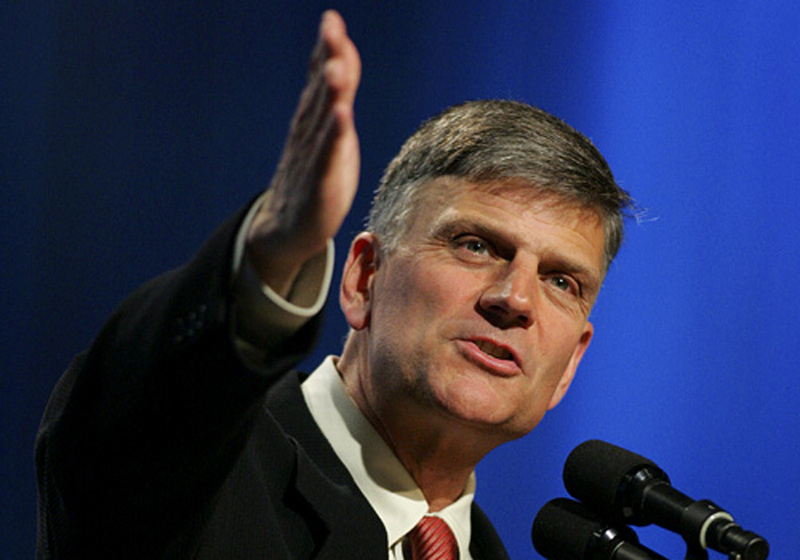 Franklin Graham Leaves GOP, Question is Why Aren’t Other Christians? Franklin Graham recently announced his renunciation of any previous affiliation with the Republican Party after 387 members of Congress treasonously voted for a bill that not only funds terrorism abroad, but also at home. Franklin Graham expressed that he cannot support any political party that deliberately funds, with government money, the dismembering of baby body parts and “selling” of fetal tissue. Graham has rightly compared Planned Parenthood to the Nazis, who also experimented on human beings. Graham has previously mentioned that he has no faith in any political party and that Christians should run for office. However, he announced on Facebook: “This is an example of why I have resigned from the Republican Party and declared myself Independent. I have no hope in the Republican Party, the Democratic Party, or Tea Party to do what is best for America. Graham pointed to renewal for next year, as he will host prayer rallies in every state in 2016 to “challenge Christians to live out their faith at home, in public and at the ballot box.” The first rally will be held in Iowa in January before the nation’s first presidential primary. If Graham has courageously called out and left a morally bankrupt Republican Party, why then are other Christian leaders not following his example? And why are any American Christians continuing to support a political party that funds an organization that sells human body parts? Worse still, where’s the outrage or political will among Christians to demand that the American government stop funding ISIS and Iran and instead protect Christian refugees? ISIS isn’t selling body parts. Yet they’ve received far more resources from the U.S. than Planned Parenthood has. ISIS is selling whole bodies. Living “viable” bodies. Living “viable” bodies of mostly 9 year-old girls and younger. Living girls are repeatedly sold in slave bazaars. For less than $200. Where’s the outrage and political will to rescue the living? And why would any Christian remain silent when these 387 members of Congress, 75 percent of America’s leaders, have not only committed treasonous acts, but also profited from willingly funding, with American taxpayer dollars, the slaughter of children and Christians worldwide? Our laws are no longer made by a legislature elected by the people. Our form of government exists without our consent. Our political authority—we the people—is no longer derived from ourselves. How much more will it take for Christians to respond to an illegitimate, unconstitutional, and tyrannical government ruled by evil men? This entry was posted in Revisiting Americanism & Christianity and tagged Christians, evangelicals, Franklin Graham, GOP, Republican Party. Bookmark the permalink.